Lead service lines were predominately installed prior to the mid-1950s in the District of Columbia, but there are records of lead service lines being installed as late as 1977. 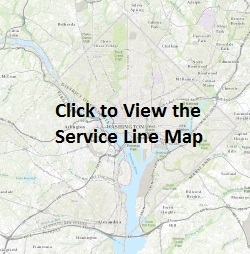 You can use our service line map to see if your property has, or might have, a lead service line. The District/DC Water has collected pipe material data for service lines based on permit records, water main tap records, meter records, and maintenance, repair and replacement work. 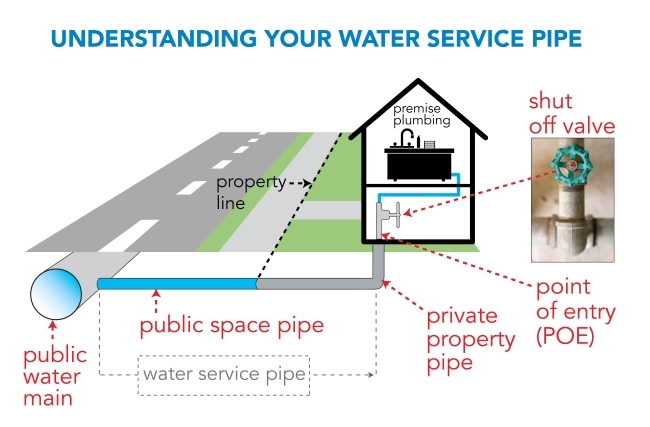 If available, DC Water has recorded the type of pipe material by the sections of the service line in public space and the private portion from the property line to the building. Where DC Water has verified the pipe material by test pit or visual observation during a public space and/or private property service line replacement, the data source will be shown as "inspection" and is accurate as of the given inspection date. All other information is based on the historic records, but not confirmed. If your property is listed as “unknown” you can look at the pipe coming into your property to determine if it is copper, lead, or galvanized iron. Our Guide to Identifying Household Plumbing may help you to determine your service line material. If you are able to determine your type of service line material, please send a photograph and your identification of the material to leadtest@dcwater.com so we can update our records. If you are unsure, note that in the email and we will conduct an evaluation and respond. When the water main was originally installed, the pipe material connecting to the main was the same as the material entering your property. However, service line repairs or property renovations may have changed a portion of the original continuous service line. If you have already replaced your lead service line, please send us a copy of the records by mail or email so we can update our records for your property. In addition, send us a picture of the service line entering your home. This will help confirm the type of pipe material. If lead is present in your drinking water, if you have pipes or plumbing fixtures that contain lead, or if you don’t know the material type, you should take steps to minimize potential lead exposure until all sources of lead have been removed. The most effective way to minimize exposure to lead is to remove the source(s) of lead. DC Water replaces lead service pipes during construction projects and in coordination with individual property owners.